It was 2 years ago this month, sometime in the 3rd week of December as I recall, that I decided to try painting again. That first painting, which you can read about here, got me to pick up the brushes and start my journey back into art. It was a year ago in January that I started this blog. So I thought it was a good time to take stock of where I started and how far I’ve come. I remember distinctly thinking, when I painted that first Triptych as a Christmas gift, that if it worked out I would keep painting, and if it was a disaster I could just go back to my photography hobby and graphic design to satisfy my creative itch. Here I am two years later spending more time painting and making a bigger commitment to improving, painting, and sharing what I learn as I go. In January of this past year, when I started this blog, I set out to have long and short-term goals. I decided if I was going to be serious, I needed a plan. Part of any good plan is to review progress towards those goals. So how have I done? 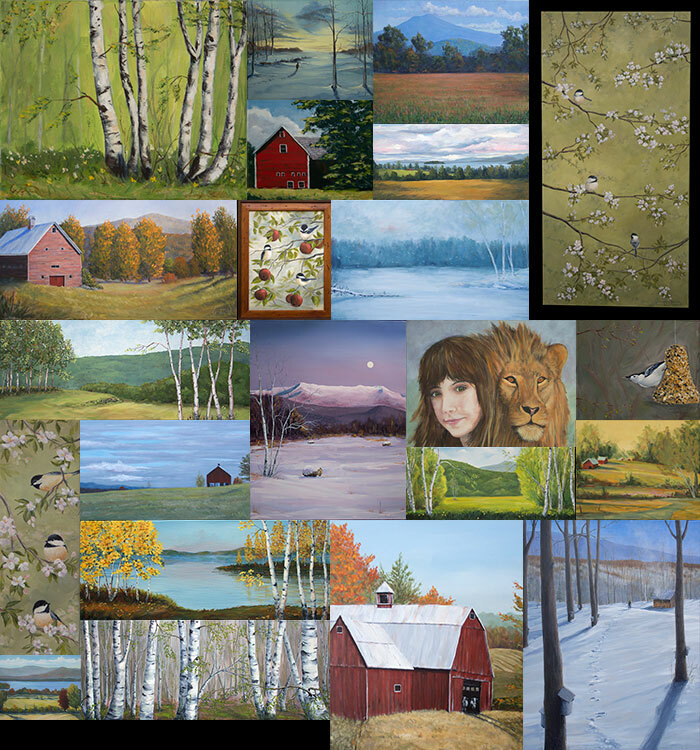 In the banner above, and the larger montage below, you can see some of the paintings I’ve created over this past year. Most, not all, can also be seen on this site on my Paintings page. 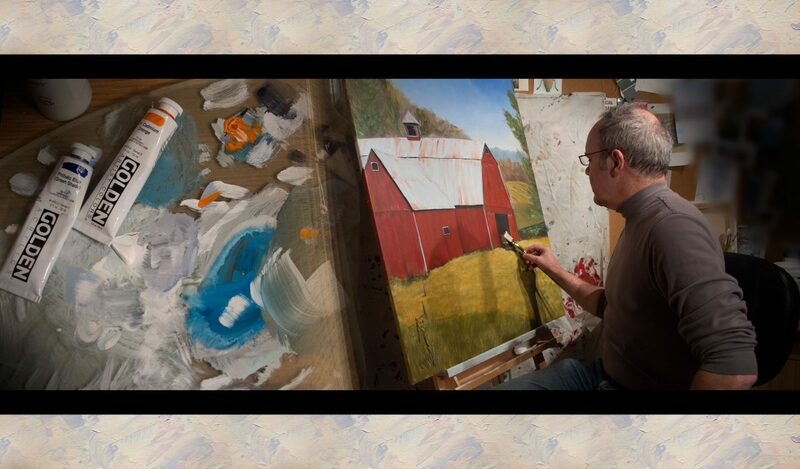 Along the way I’ve learned from many, through lessons, workshops, painting side-by-side with other artists, reading, and learning from anywhere I could. It takes time, and more time, to practice what I have learned, but I am quite happy with the results. Not only have I met goals this past year to display my work publicly, I have participated in plein air events, regional art shows, and hung my work in a number of public settings. I have sold work, developed this website, created a youtube channel and posted videos, created a Facebook page, and an e-newsletter. I have painted a lot, made lots of new friends at the Essex Art League, met new artists, learned more than I anticipated, and had a ton of fun. Where I have fallen short of goals is mostly in getting myself out there. I need to work on expanding my email newsletter list, and I need to post more often, both here and on Facebook. I need to polish my video and editing skills, and post more to youtube. And I need to practice more, draw more, paint more, learn more and find new outlets for showing my work. Its been a great two years. I’ve been bitten by the painting bug. I will be revising my plan, updating my goals, and working harder on my craft. Look for a future post on planning and committing to my art. I’m thankful you’ve found this blog, and invite you to share it along with my Facebook page and YouTube Channel with anyone you think may be interested.